Bitcoin and Co - is it worth it? click chart for current value. 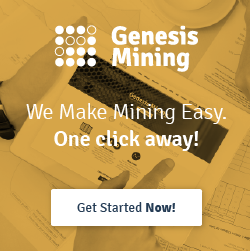 There are currently 2 big could mining businesses available which are in the market for years. They have multiple data centers in Iceland and other countries where they house the mining equipment. On both you can mine multiple currencies. Check the Promotion codes and additional links in the Codes Menu. IT Business Services Ltd. is not a financial adviser. You should consider seeking independent legal, financial, taxation or other advice to check how the information relates to your unique circumstances. IT Business Services Ltd. is not liable for any loss caused, whether due to negligence or otherwise arising from the use of, or reliance on, the information provided directly or indirectly, by the use of the services in this offer.